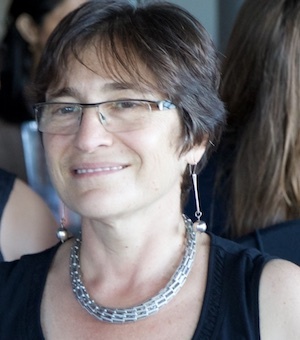 Tatyana Fertelmeyster is Founder and Principal of Connecting Differences, LLC. She provides intercultural communication and diversity training to corporate clients, educators, and mental health professionals, both nationally and internationally. She also trains business executives and their families in preparation for their moves overseas for global assignments. Although Tatyana is quite accomplished in her chosen field, she doesn’t find it hard to empathize with those who struggle in her training sessions – she only has to remember the years of ballroom dance lessons she took while still managing not to learn how to dance. Originally from Russia, Tatyana is the co-author of Cultural Detective: Russia and a contributor to The SAGE Encyclopedia of Intercultural Competence (Janet Bennett, editor) and Building Cultural Competence: Innovative Activities and Models (Kate Berardo and Darla Deardorff, editors). She is also a Master Trainer of Facilitators for the Cultural Detective® model and a faculty member at the Summer Institute for Intercultural Communication in Portland, Oregon, where she teaches experiential facilitation skills and methods for identity exploration. In addition to Cultural Detective®, Tatyana is certified to work with the Emotional Intelligence and Diversity training model, as well as the Personal Leadership model. She is certified to administer and interpret the Intercultural Development Inventory (IDI), the Cultural Orientation Indicator (COI), the Global Competencies Inventory (GCI) and the Intercultural Effectiveness Scale (IES). Tatyana has over 20 years of experience and has worked with a number of corporations, academic institutions, and governmental organizations, including Alcoa, Boeing, Ernst and Young, GMAC, Hewitt Associates, John Deere, Sara Lee, Siemens, Center for Victims of Torture, Illinois Department of Employment Security, Illinois Department of Human Services, Harper College (Palatine, IL), Triton College (River Grove, IL), Portland State University, University of Illinois Extension Program and the United States Conference of Catholic Bishops. Tatyana holds an MA in Journalism from Moscow State University (Moscow, Russia) and an MA in Guidance and Counseling from Northeastern Illinois University (Chicago, IL). She is a Licensed Professional Counselor and has extensive experience working with individuals and groups on issues of cultural transition, adjustment to change and loss, relational dynamics and personal growth. A Past President of SIETAR-USA (Society for Intercultural Education, Training and Research), Tatyana is also a member of the Personal Leadership Community of Practice, the International Association for Facilitators, Families in Global Transition, SHRM (Chicago Chapter), and Rotary International Club of Buffalo Grove, IL.